Online betting sites have been offering PayPal as one of its top banking methods for a while. That’s because it is a fast and secure way of transacting online. PayPal betting sites are very popular with US players who enjoy online sports betting. It’s an easy way to deposit funds to a sports bookmaker. 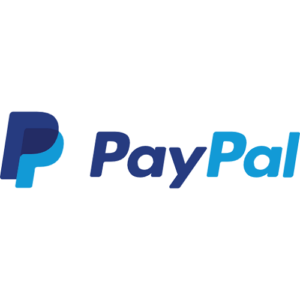 With hundreds of millions of users around the world, PayPal has become a trusted banking option in the online sports betting industry. Below are some of the most popular betting sites that accept PayPal. PayPal is very selective about which sports bookmakers use their service. This is the result of the company wanting to maintain its world-renowned reputation for quality service. PayPal doesn’t want to become associated with dodgy bookies. So, if you find a sports betting site with PayPal as an option, consider this a mark of quality and security. DraftKings Sportsbook: get a $25 free no deposit bonus. BetStars: get up to $500 in free bets. FanDuel Sportsbook: get $500 risk-free bet. DraftKings: get $20 free play on your first deposit. FantasyDraft: get free entry and a $4 entry ticket. FanDuel: get up to $5 free play on your first deposit. In future, if you find bet sites that accept PayPal, know that they are some of the biggest companies in the sports betting industry. As a result, you’ll have the best online sports betting experience there is. To make a properly informed decision when it comes to online gambling, and online sports betting in particular, it’s good to know what you’re getting yourself into. As with any banking option online, there are pros and cons to it. Let’s take a look at what these are for PayPal. Can use your credit card, debit card, and electronic bank transfers as a deposit option. Also, your PayPal account can be funded from other accounts like your family/friends and business. Can use it on other online platforms like shopping. Additional deposit fees associated with credit card deposits. Withdrawals are slower than other ewallet options. Are there any fees that I will have to pay when using PayPal at online betting sites? No, none are directly related to depositing with PayPal to your online betting site account. There also aren’t any fees for using your existing PayPal balance or electronic funds transfer. However, PayPal charges a 2.9% to deposit using a credit card or debit card into your PayPal account. Withdrawal option for PayPal include electronic check and check by mail. For those who like convenience, PayPal now has its own debit card that can be used at any retailer accepting credit cards. Furthermore, you can use it at ATMs to withdraw cash. Is it safe to use PayPal to deposit at online betting sites? Yes, PayPal is very safe. It’s just as safe as most ewallet banking options. Actually, it’s even safer than directly using your bank account at online betting sites. What it does is give you an extra layer of security between the betting site and your personal financial information. Because PayPal is so stringent with which sites uses their services, they only allow gambling transactions where gambling is licensed. This is why you’ll only find PayPal at betting sites in Europe, and states like Nevada and New Jersey where online sports betting is permitted. Betting sites located off shore aren’t licensed and therefore PayPal doesn’t do business with them. Why does PayPal operate on FanDuel and DraftKings? These are daily fantasy sports (DFS) sites, which isn’t considered gambling under most state laws. Alternatively, DFS is considered a game of skill. Therefore, PayPal’s legal opinion is that payments for DraftKings and FanDuel are legal in all jurisdictions.